Avitus® Orthopaedics, Inc. is a medical device company developing novel instruments for minimally invasive surgery. The Company began in 2011 by spine surgeons and biomedical engineers at Johns Hopkins University who sought to develop a superior method for bone graft harvesting. Avitus was established with the mission of developing new orthopaedic technologies that improve clinical outcomes while decreasing healthcare costs compared to current procedures and devices. Mr. Shah is Chief Executive Officer and co-founder of Avitus Orthopaedics. He previously served as the Entrepreneur in Residence and Interim Deputy Director for the Johns Hopkins - Coulter Translational Partnership. Mr. Shah has had prior engineering experience in BioInformatics at Johnson & Johnson - Centocor as well as the Bio-medical Informatics and Bioimaging Laboratory at Georgia Institute of Technology. Furthermore, Mr. Shah has worked at the NASA - Langley Research Center to help develop brain-computer interface technology for drowsiness detection. Mr. Shah received his M.S.E. in Bioengineering Innovation and Design from Johns Hopkins University and his B.Sc in Biomedical Engineering from Georgia Institute of Technology. 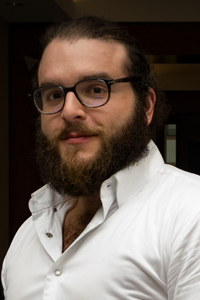 Mr. Budyansky is Chief Technology Officer and co-founder of Avitus Orthopaedics. He’s passionate about entrepreneurship, innovation and bringing meaningful impact to market. In a past life, he was focused on creating low-cost medical devices in OB/GYN developing country markets, at Jhpiego Corp. As a researcher at the Cell Mechanics Laboratory at the University of Connecticut, he co-invented and co-developed Micro-CGS, a novel micro-scale curvature detection technology with application to cancer cell diagnostics. With an M.S.E. in Bioengineering Innovation and Design from Johns Hopkins University and B.S.E. 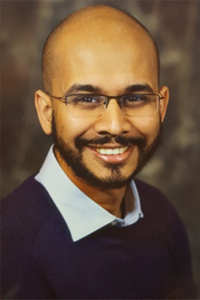 in Mechanical Engineering from the University of Connecticut, his engineering background emphasizes biomechanics and the application of mechanical engineering principles to medical device design and innovation. The Board comprises of five Directors, including Mr. Neil Shah and Mr. Maxim Budyansky. 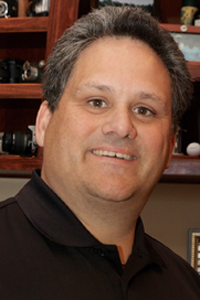 Mr. DeNardin has spent over 30 years in the orthopaedics industry. He was integral in the purchase of the Diapason Spinal Implant Company by Stryker in 1992. Following this, he served as Group Director of Marketing and V.P. of Sales for Sofamor Danek (now Medtronic Spine and Biologics). He then served as Senior VP of Sales and Marketing for Lanx before starting his own organization, Genesis Medical Solutions, in 2013. Currently, Mr. DeNardin serves as Area VP of Sales Western Region for Alphatec Spine. His ability to recruit, develop, and expand a distributor network has contributed to his success in these roles. Mr. McCaw is a serial entrepreneur currently focusing on the cardiovascular medical device space with Aegis Medical Innovations. His previous company, FrogBox, was named one of the hottest start-ups in the country by Entrepreneur Magazine. In, 2006, Mr. McCaw founded and successfully sold Sentinel Medical, an infection control company. In 1999, Mr. McCaw co-founded NRX Global, an enterprise procurement software company that went public in 2001 on the AIM stock exchange. 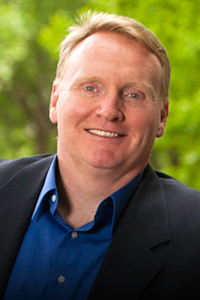 Mr. McCaw has worked previously at Medtronic as a marketing executive. He received his MBA from Harvard Business School. Mr. O'Neill is the Director of Investments at Connecticut Innovations, where he leads CI investments in the life sciences clean technology/energy, software, and digital media sectors. Previous engagements include project management for the Connecticut Clean Energy Fund and tenures at UTC Power, Duke Engineering and Services, and Yankee Atomic Electric Corporation. Patrick received his MBA from New York University and a master's in mechanical engineering from Worcester Polytechnic Institute. Dr. Kebaish is a co-inventor and co-founder of the company. 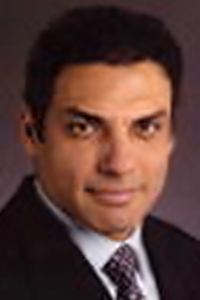 Dr. Kebaish is a professor at the Johns Hopkins University School of Medicine's Department of Orthopedic Surgery and Department of Neurosurgery,1 as well as the director of the Johns Hopkins Spine Fellowship Program. He completed his orthopaedic surgery residency at the University of Toronto and pursued advanced training in complex spinal deformity surgery at the Johns Hopkins University. His practice focuses on complex spinal surgery including adult spinal deformity, revision surgery, and spinal tumors. His research interests include spinal biomechanics and clinical outcomes of spinal deformity surgery. Dr. Khanna is a co-inventor and co-founder of the company. 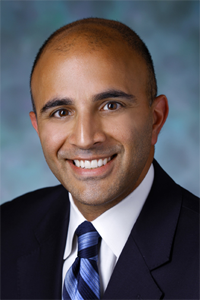 Dr. Khanna is a professor at the Johns Hopkins University School of Medicine Departments of Orthopaedic Surgery and Biomedical Engineering,1 as well as the Division Chief of Orthopaedic and Spine Surgery of the Johns Hopkins - National Capital Region. His clinical practice is dedicated to the care of patients with a wide range of diagnoses including degenerative disorders, spinal tumors, infection and trauma. His areas of academic and research interest within the field of spine surgery includes minimally invasive spine surgery, image guidance for spine and orthopaedic surgeries and the teaching of advanced imaging techniques to spine and orthopaedic surgeons. Dr. Riley is a co-inventor and co-founder of the company. 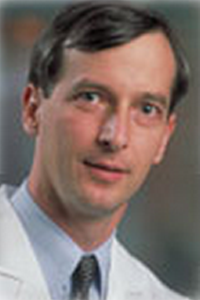 Dr. Riley is a professor in the Johns Hopkins University School of Medicine's Departments of Orthopedic Surgery and Neurosurgery,1 as well as the Division Chief of Spine Surgery. Dr. Riley's research interests include disc degeneration, metastatic disease, vertebroplasty, and cervical spine disorders. He serves as a board member of several orthopedic medical device companies. 2014 Avitus Orthopaedics, Inc. All Rights Reserved.